One episode of American Ninja Warrior was all it took for Christian to become hooked on all things obstacles. Since then, he’s devoted much, if not all, of his spare time into training ninja warrior training, which incidentally, also led him to King’s Camps and Fitness. 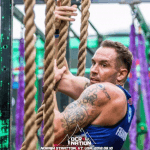 Christian quickly channeled his ninja training into the OCR world. In May 2018, he ran his first OCR race. 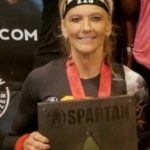 Since then, he’s achieved several podium spots–including a podium at the North American OCR Championships and two podiums at the 2018 AT&T Spartan Race. Christian loves the OCR community and can often be found playing ninja at King’s Camps and Fitness during their OCR Open Gym.